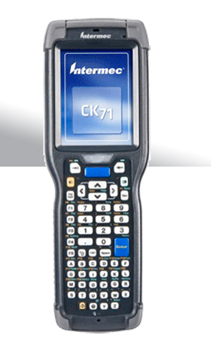 The new CK71 provides everything you need in a mobile computer. Rugged construction, all–day use, fast processing and unmatched versatility. The new CK71 provides everything you need in a mobile computer. Rugged construction, all–day use, fast processing and unmatched versatility. In fact, the CK71 is built with a number of features and communication options to keep your team in contact and working efficiently throughout the day—or night. It even offers remote monitoring of the device’s health so you know before a problem becomes downtime. When you make the CK71 your new mobile computer, you’ll enjoy watching productivity soar.